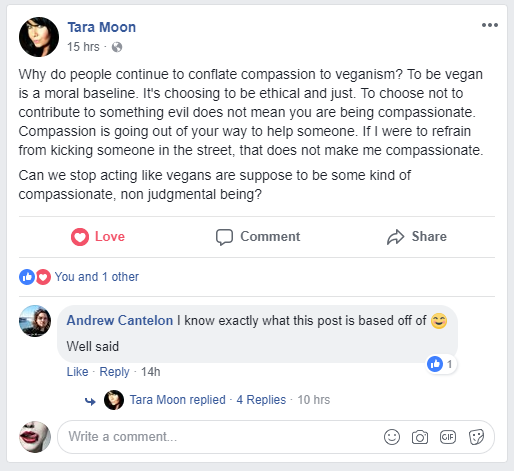 Why do people continue to conflate compassion to veganism? To be vegan is a moral baseline. It’s choosing to be ethical and just. To choose not to contribute to something evil does not mean you are being compassionate. Compassion is going out of your way to help someone. If I were to refrain from kicking someone in the street, that does not make me compassionate.